“With all respect and if you permit us, we want to be in the heart of the young normalistas’ parents, we want to be in the Heart of Ayotzinapa,” expressed members of the Civil Society Organization Las Abejas, members of the National Indigenous Congress (CNI, its initials in Spanish), in a September 26 comunicado, on the one-year anniversary of the enforced disappearance of the teachers college students in Iguala, Guerrero. “We want to be in the heart, in the dream, in the soul, in the struggle and in the memory and hope of the 43 disappeared, the 3 murder and one other compañero that is in a coma. And we also want to be in the heart, in the dreams, in the memory and hope of the thousands of disappeared in all of Mexico,” the Indigenous Tsotsils added. They held a day of prayer in solidarity with the disappeared students. “We began in the ceremonial center of the Acteal martyrs by presenting the photographs of the disappeared students,” they shared. “The Other Justice always has to be Memory and Not Oblivion,” the adherents to the Sixth stated. 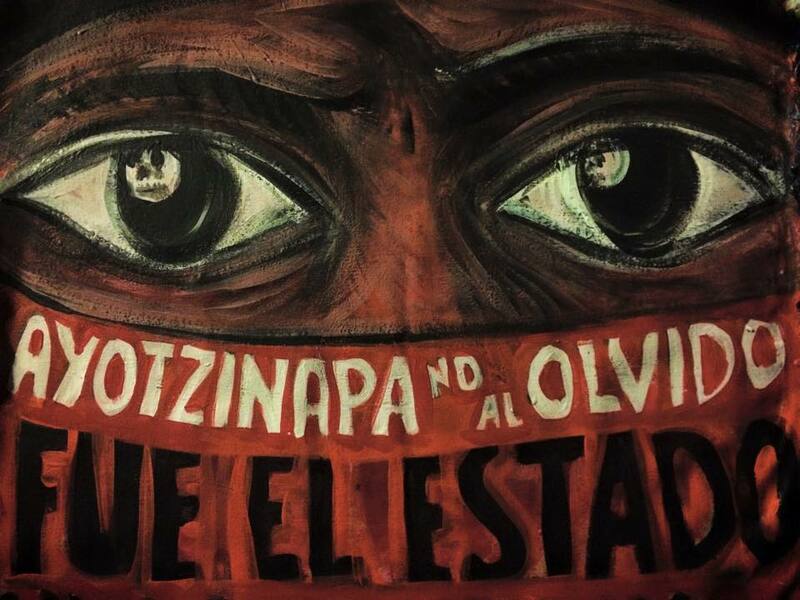 At the same time they pointed out that: “the intellectual authors of the crime against the normalistas are: José Luis Abarca, the former Iguala mayor; Angel Aguirre Rivero, ex Governor of Guerrero; Enrique Peña Nieto, president of Mexico; the Mexican Army and the Iguala Municipal Police.” “Ayotzinapa is the continuation of the rage, of the Hydra’s fire,” they abounded. CNI communities of Chiapas, like the Tila Ejido, Candelaria el Alto, Cruztón, San Francisco Teopisca and adherents to the Sixth headed to Mexico City, in order to participate in the march for the one-year anniversary of the enforced disappearance of the normalistas of Guerrero. In Mexico City contingents of the National Indigenous Congress from different parts of the country, adherents to the Sixth Declaration of the Lacandón Jungle and members of the Network against Repression and for Solidarity, marched together with family members of the Ayotzinapa students and diverse sectors of society in solidarity. Adherents and sympathizers of the Sixth also demonstrated in San Cristóbal de las Casas “To make the Ayotzinapa 43 present.” The displays of solidarity take place in the context of the mobilizations at the national and international level, demanding that the students are presented alive.